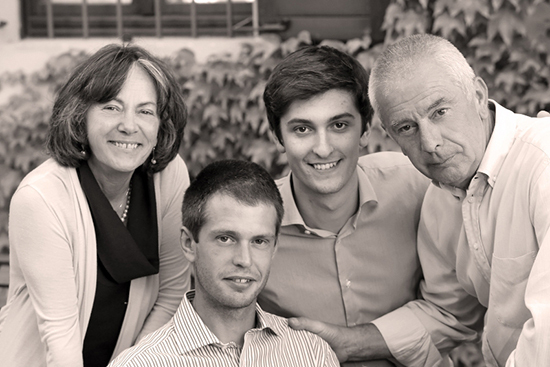 This family has farmed the 3.6 hectares of vineyards in Rio Sordo and Tre Stelle for four generations. 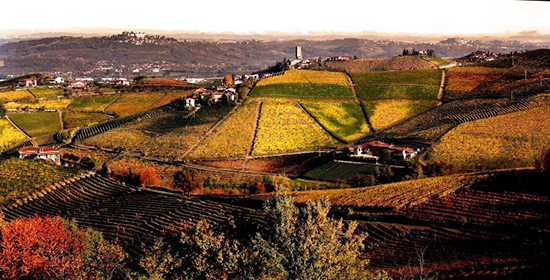 Those two different ’crus’ are located just outside the winery, with a stunning view over the village of Barbaresco. 1974 was the year when Giovanna Sobrino took over the estate from her grandparents and started to produce wines under their own label (her grandparents made wine that they sold to the co-op, and of course for drinking at home). In 1996 Italo and his sons Davide and Riccardo joined the business. Davide is now responsible, together with his father, for the vineyard work and wine-making, while Riccardo works more with the commercial parts, running the office and takes care of the bed and breakfast they have. The family also farms 1,2 hectares of hazelnut surrounding the vineyards helping them to maintain a good eco system. 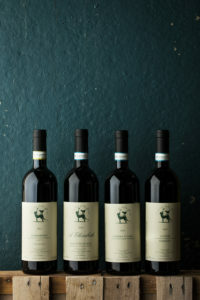 The wines are a light and elegant expression of Barbaresco, still with great depth and structure! Soil: Clay, sand and limestone, both from ’Tre Stelle’ and ’Rio Sordo’ vineyards. Vinification: Destemmed then fermented for 14 days with the skins in stainless steel tanks, before gentle pressing and then continuing aging in stainless steel until bottling in April 2018. 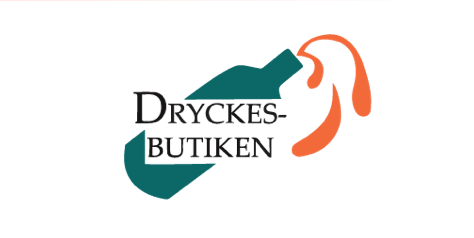 Vinification: Destemmed then fermented for 20-25 days with the skins in stainless steel tanks before gentle pressing and then continuing aging on stainless steel until bottling in April 2018. Soil: Clay, sand and limestone from the vineyard located on the border between ’Tre Stelle’ and ’Rio Sordo’. Vinification: Destemmed then fermented in stainless steel tank for 12-15 days with the skins. Aged 15 months in old ’botti’ of 2500-liter before bottling. Soil: Clay, sand and limestone from the upper part of the Barbera planted in ’Tre Stelle’. Vinification: Destemmed then fermented in stainless steel tank for 12-15 days with the skins. Aged 20 months in old ’botti’ of 2500-liter before bottling. Soil: Sand and shallow limestone in ’Tre Stelle’, south facing vineyard towards the Barbaresco village. Vinification/blending: Destemmed then fermented for 15 days with the skins on stainless steel tanks. Aged 24 months in old ’botti’ of 2500-liter before bottling. Soil: Clay rich in humus on the surface and deep limestone in ’Rio Sordo’ (an east facing vineyard towards the valley). Vinification/blending: Destemmed then fermented for 15 days with the skins in stainless steel tanks. Aged 24 months in old ’botti’ of 2500-liter before bottling. Both these grappas are white, only aged on bottle after distillation. This is not for the ones that search for the real tough stuff. 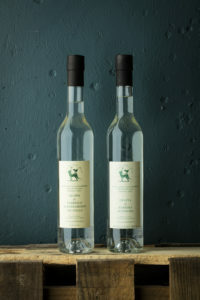 They have both fine, flowery aromatics and refined, straightforward fruity taste with a round long finish. The first one is made from grape skins from their wine ’Donna Elena’ Barbera and the other one from Nebbiolo skins, both from the parcel of Tre Stelle. They come in bottles of 500 ml and has a alcohol content of 42 % .